In 2017 Airbnb launched a €5m Community Tourism Programme to support innovative projects, in local communities, that encourage healthy tourism. The Community Tourism Programme is available for projects that welcome tourism in new ways to strengthen communities, empower citizens, and preserve and promote local culture. « It looks like what we do at My Green Trip ». This was the thought we had when reading the call to projects for the 2018 edition. And they applied. First quarter of 2018, we received a great email “Today, I am reaching out to you with great news: I can confirm that we will fund My Green Trip with EUR 10,000.00. Congratulations! Everyone in our teams is loving your idea and we are glad to support your work on more nature-friendly and sustainable tourism. » Fantastic !! Wow, we are partnering with Airbnb, first of the big players in the travel industry to support our project. What is the support about ? But you want to know what was the cherry on the cake ? 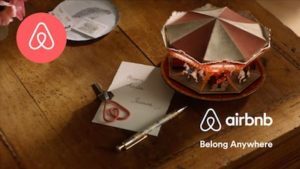 Some days after the confirmation of their support, Airbnb asked us if we were ok if Nathan Blecharczyk, one of the 3 founders of Airbnb would include our project in an introduction video to be showed at the OECD Conference in Paris on May 29th. Mmmhhh … let us think …ok 🙂 And this is how My Green Trip was featured in the below video to represent the Community Tourism Program. 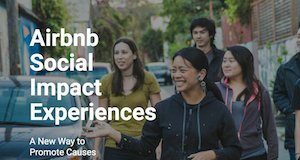 This is only the beginning of our partnership with Airbnb as the team behind the « Experience » booking done by hosts on the platform, invited us to be part of their « impact experience ». Those are experience proposed by hosts for a non profit organisation. And all the revenues made from those experiences would come back to My Green Trip. Exciting right ? Soon, we will share more new about this. Our team member Stéphane, who is a big fan of mountain bike will soon organise a one day biking activity in Switzerland and pick up trash at the same time.